US President-elect Donald Trump has picked ExxonMobil CEO Rex Tillerson as his Secretary of State. In a tweet, Mr Trump said, he will be making the announcement on the Secretary of State tomorrow. If confirmed by the Senate, Tillerson will replace John Kerry as the Secretary of State. 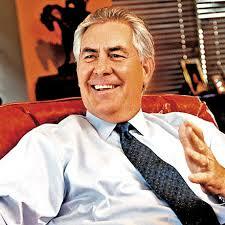 Tillerson is a veteran chief executive who has had extensive overseas business dealings. Soon after the tweet former Massachusetts Governor Mitt Romney, who was one of the leading contenders for the post, said he would not be the Secretary of State. Several US Senators are reportedly opposing the nomination of Tillerson.